OUI has become a serious problem in recent years across our state. A 2012 study conducted by the Behavioral Risk Factor Surveillance System revealed that there 1,370 people killed in Massachusetts OUI crashes in a 9 year period from 2003 through 2012. Of course, during that time the number of non-fatal OUI crashes experienced in the state would have been much greater. OUI crashes tend to involve more serious and catastrophic injuries than other types of crashes. One reason for this is that these accidents usually happen due to a complete loss of vehicle control by the impaired driver. 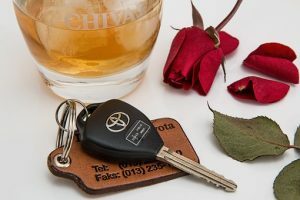 Whether because of drugs or alcohol, impairment means that the driver’s mental and physical capability are slowed considerably which also reduces critical factors such as reaction time, ability to perceive objects in the roadway and the ability to make judgments on matters such as depth perception and proper distance between vehicles. When a driver loses control of these faculties, they lose control of a 2,000 pound piece of metal that can quickly become a deadly weapon. In Massachusetts, it is illegal drive with a blood alcohol concentration of more than .08%. It is also illegal to drive with any amount of a controlled substance such as a prescription medication or an illegal drug that impairs the ability to drive. In drug and controlled substances cases, the opinion of the officer as to a driver’s impairment is critical. If you have been injured in a Massachusetts OUI case you are entitled to recover for your injuries including: pain and suffering caused by the accident, medical bills, lost wages from time missed at work and potentially punitive damages. Punitive damages are a special type of monetary compensation which are awarded in cases of extremely negligent or reckless behavior. Driving under the influence can be an example of this type of behavior and may support a punitive damage award. You need an experienced lawyer to assist with these issues. At the Law Offices of Jeffrey S. Glassman, we help injured OUI victims recover for their injuries. If you or a loved one has been the victim of a Massachusetts OUI crash, give our office a call at 617-367-2900 today. We offer free consultations and would be glad to assist you.